Nike have built a reputation for taking us by surprise and they once again caught us off-guard, when they, out of the blue, launched the completely unique and greatly limited CR Mercurial IX, that is made especially for Cristiano Ronaldo. 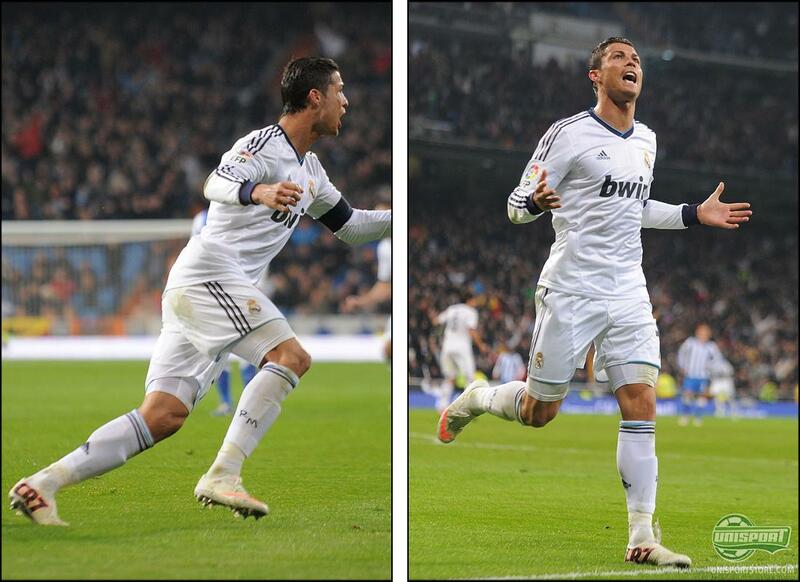 Last night Ronaldo gave the boot its full début in stunning fashion. At home Real Madrid hosted Real Sociedad, and they would ultimately have to thank Ronaldo for his contribution, which proved critical to the king-clubs success. 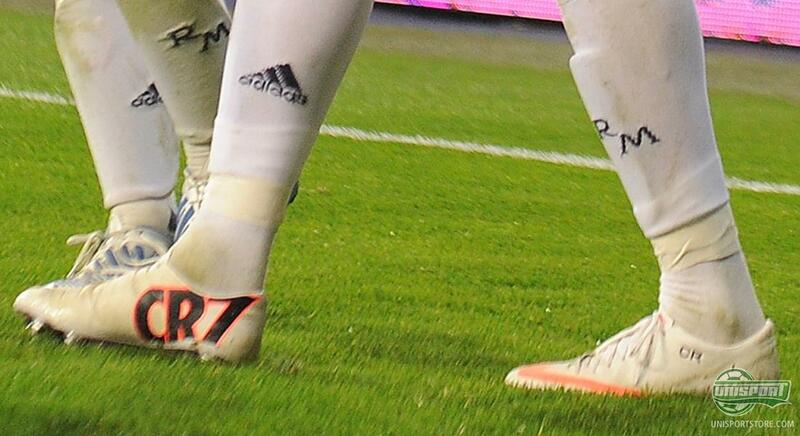 Ronaldo celebrated his new Nike CR Mercurial IX-boots with two goals  the one from a particularly brilliant freekick  and this helped real to a 4-3 victory in a high octane game, that among other drama, saw Real-keeper Adan dismissed with a red card, after just 5 minutes. 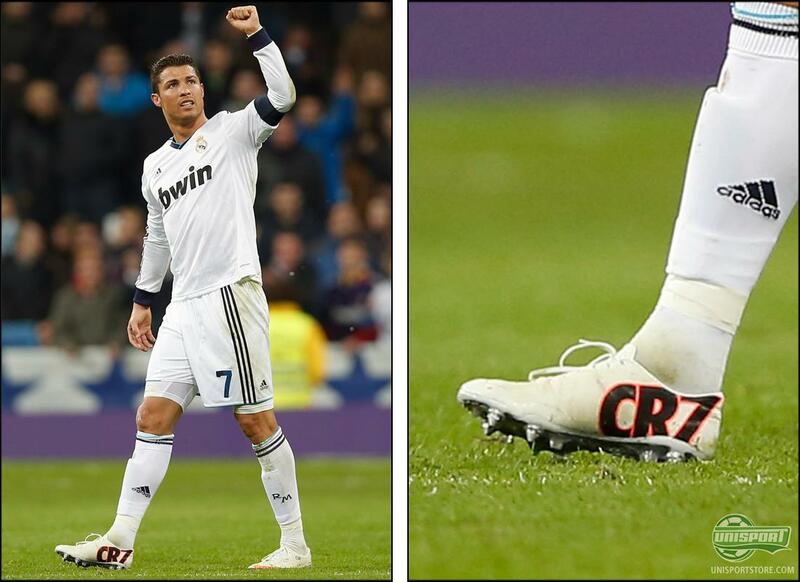 Nike have produced the CR Mercurial IX-boot especially for Ronaldo, and it is made to mark the Portugueses sensational 2011/2012-season. The question is; do Nike know something we don't? - Seeing as though the Ballon d'Or-prize is just around the corner, where Ronaldo is nominated. The boot is white with a rosé Nike-swoosh, and has CR7 written on medial side, as well as a row of numbers, of significance to Ronaldos season. 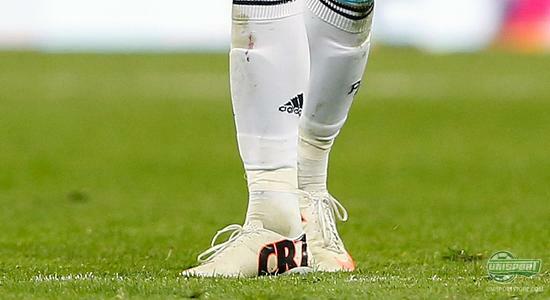 In other words a completely personal boot  and to make it even more exclusive, only 100 pairs will be made world wide. We have been lucky enough to secure a handful of them and you can therefore look forward to possibly getting them, here at Unisportstore, where they are expected to land in the beginning of February. What do you think of Ronaldos new signature boot  and is it cool, that Nike have made a completely unique, madly limited boot for the world-icon? You can also tell us whether or not you think, Ronaldo will win the coveted Ballon d'Or 2012  Do it in the box down below.